Just to let you know that I am a huge Tampabay Rays fan! So the fans bring and ring their Cowbells at the games. I was thoroughly excited to see this phrase on the stamp set Bazinga by The Project Bin. Of course my card had to do with baseball. 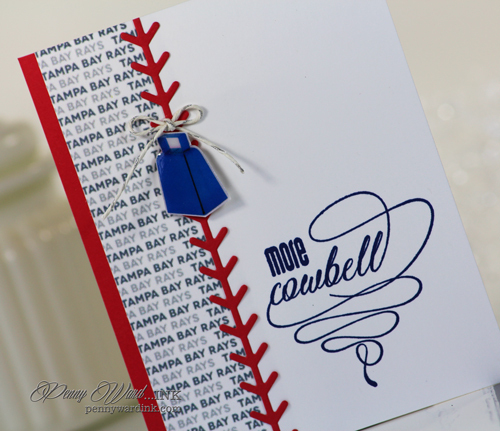 A sliver of pattern paper and a die cut of threads on a baseball. 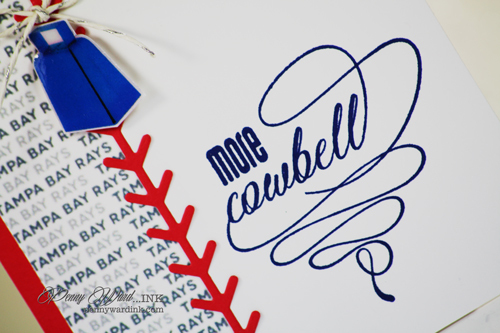 Cowbell was found on the big World Wide Web, fussy cut and slathered with Glossy Accents.